Charlotte Hawkins is a co-presenter on ITV1’s Good Morning Britain. Previously, Charlotte was a co-presenter on Sky News Sunrise with Eamonn Holmes on Monday to Thursday mornings from 6am-9am. She was at Sky News for seven years, and during that time covered several major breaking stories; including the developing situation in Gaza during the Israeli air strikes, and the guilty verdict in the Josef Fritzl trial. Charlotte has also interviewed many film stars for Sky, including Will Smith, Matt Damon, Johnny Depp, Russell Crowe, Renee Zellweger and Cameron Diaz. 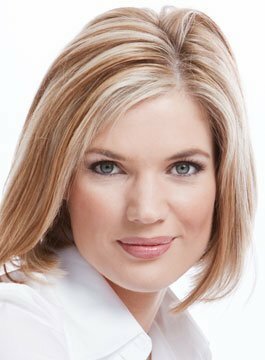 Before joining Sky News, Charlotte Hawkins worked at ITV Meridian, co-presenting Meridian Tonight in the South East for four years. She regularly presented the programme live on location, most notably from Tonbridge the day after the multi-million pound cash robbery. She also co-hosted the current affairs discussion series The Big Story. After graduating from Manchester University with a degree in English Language & Literature, Charlotte completed a postgraduate diploma in Broadcast Journalism. She went on to join ITN Radio, where she was one of the first journalists at the Paddington rail crash, reporting live from the scene. Charlotte has also presented both The London Boat Show and The Southampton Boat Show programmes for ITV1. Away from the camera Charlotte loves the outdoors, and spends her time horse-riding, cycling, and going for long walks with her rescue dog Bailey. She can also ski and sail but is terrified of heights.